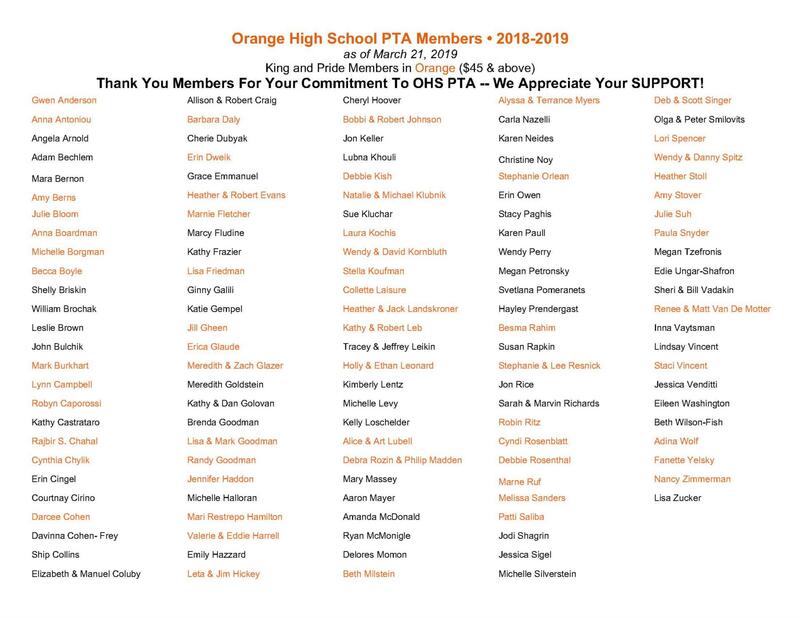 Thank You For Your Commitment To Orange High School PTA. We Hope Your Family And Your Students Have A Wonderful Year! On behalf of the Orange High School PTA, thank you for your support. Your membership allows us to provide activities, programming, teacher and building grants, and much more to support and facilitate learning for our students, teachers, schools and community.